Dynamic Duos: Buckner and ? Throughout the history of sports there have been great dynamic duos. Montana and Rice, McNabb and Owens, Jordan and Pippen just to name a few. 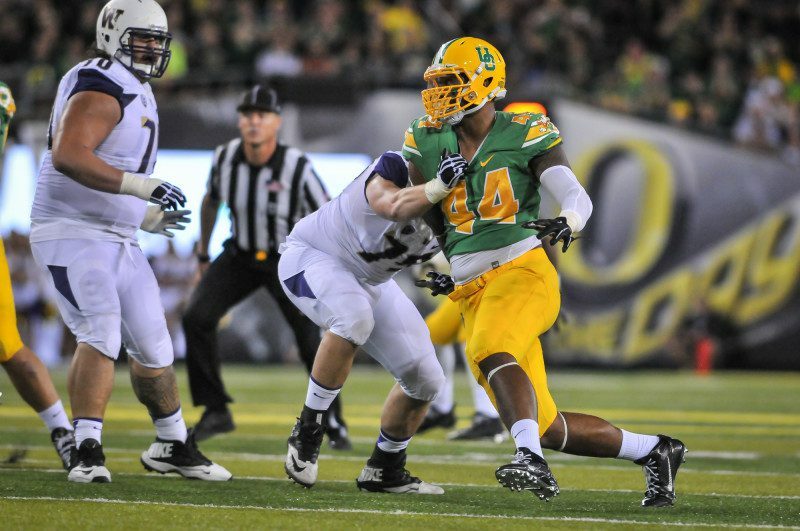 But on January 13, 2015, Eric Armstead (one the most crucial players on defense last season for the Ducks) declared his intention to forgo his senior season and enter the NFL Draft one year early as a junior. 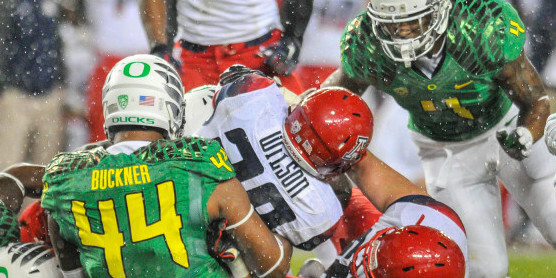 When he did so, he broke apart the pair that included his fellow D-Lineman junior Deforest Buckner. This dynamic duo helped carry the Ducks into the first-ever College Football Playoff. But Buckner decided to take a different route than one of his close friends to comeback for his senior season to play for the Ducks. Buckner is currently taking resumes this spring to help find the replacement for the 6’9, 280 lb. future first round pick. So far it looks like there is no single real frontrunner to replace Armstead and Pellum will try to use a committee to fill that void. Well Duck Fans I would like to present to you my frontrunner for the replacement job, Canton Kaumatule. If that name is still some how unfamiliar to you, you had better write it down somewhere, because it is going to be a name that Duck fans will learn to love. Kaumatule is a 6’6, 280 lb. 5-star All-American freshman from Honolulu, Hawaii, and has already enrolled at the University, which makes him eligible to participate in Spring ball. With Buckner being sidelined for the Spring due to a minor operation he had done on his knee in late January, it’ll give Kaumatule extra reps, which he normally wouldn’t have gotten if Buckner wasn’t injured. Hopefully with those extra reps, Kaumatule will transition faster to the college game. When Pellum was asked about Kaumatule’s future as a Duck, Pellum responded, “He has the potential to be really, really good.” I’m not really sure you can consider Kaumatule a dark horse (considering he’s bigger than your average horse) with all the hype around him coming out of high-school, but whatever the case may be its only a matter of time until we all see Buckner and Kaumatule destroying quarterbacks and beheading running backs in the backfield.